The Sense spare roll holder by Koziol presents itself fully or half stacked as a sculpture of pulp, which sprouts a rolled-up leaf at the upper end. 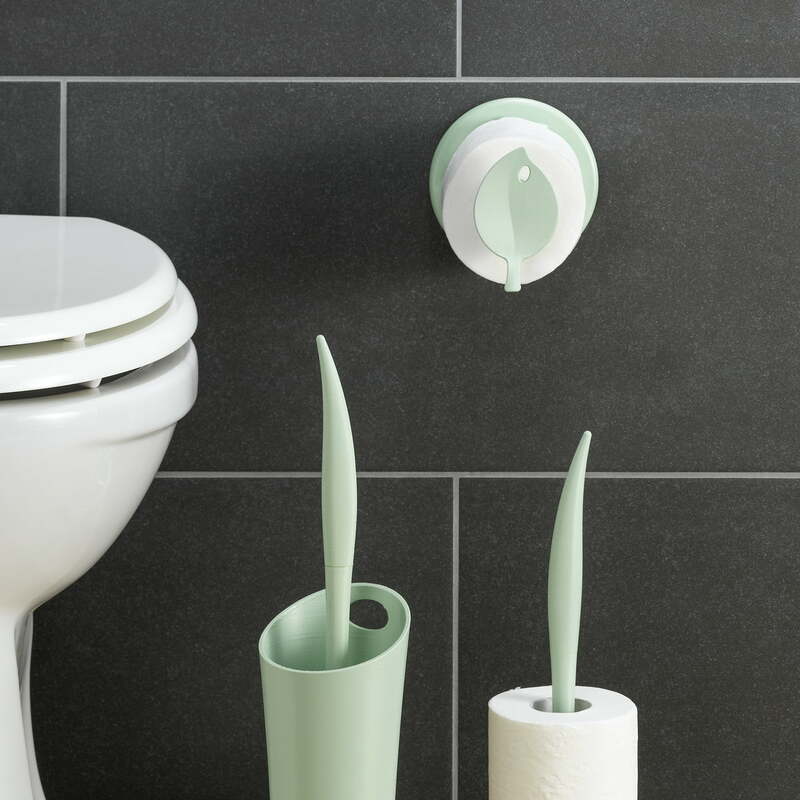 It belongs to the same name bathroom collection by Annette Lang. 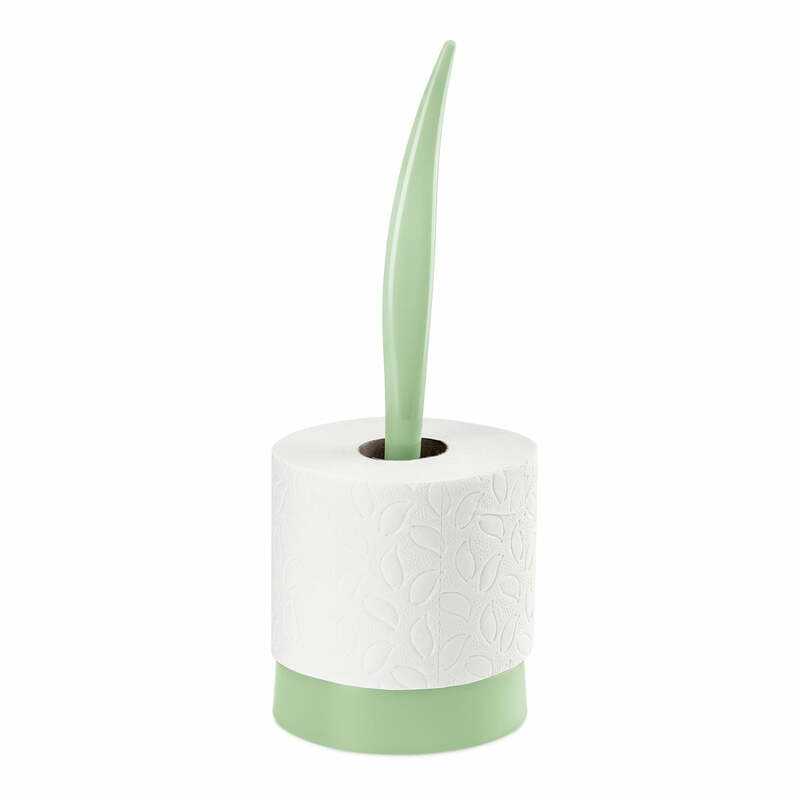 The base takes up the theme of green design, the small handle prevents an unintentional unwinding of the paper. But intentionally and consciously is the Sense spare roll holder manufactured from a plastic that is 100% made from renewable vegetable raw materials. 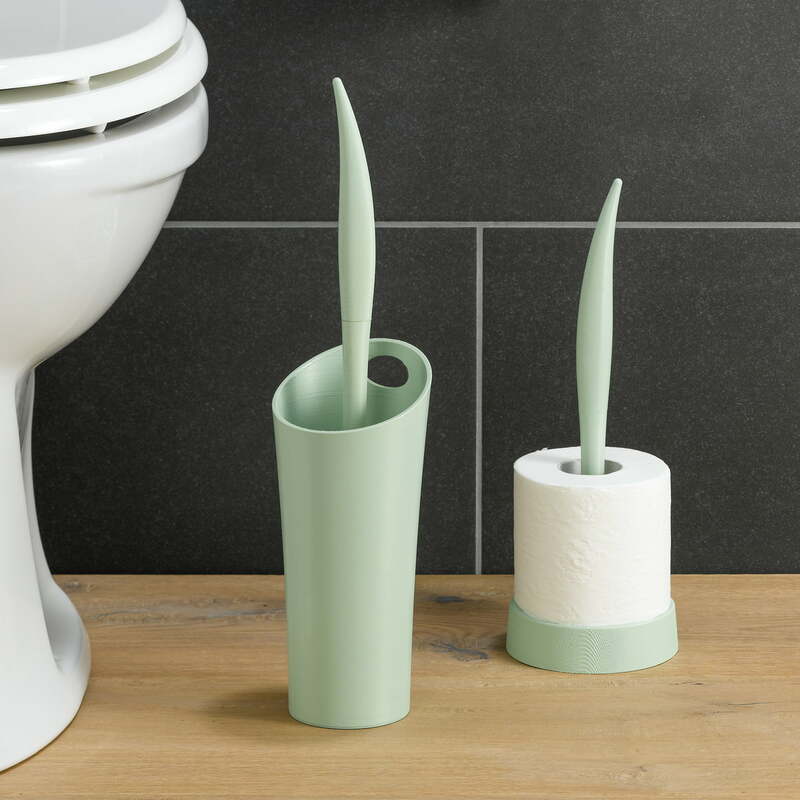 The Sense spare roll holder by Koziol is suitable for up to two commercially available toilet paper rolls and available in various discreet colours. 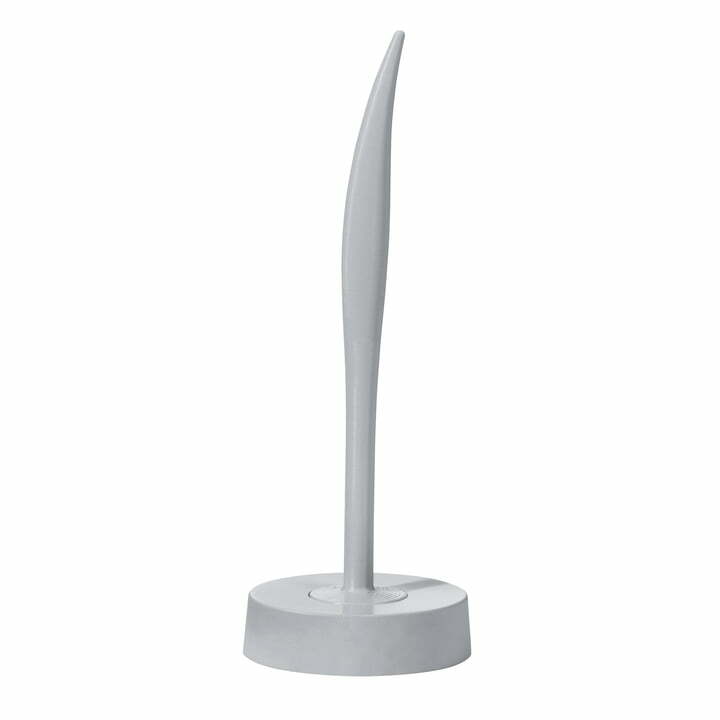 Product image of the Sense spare roll holder by Koziol in grey. 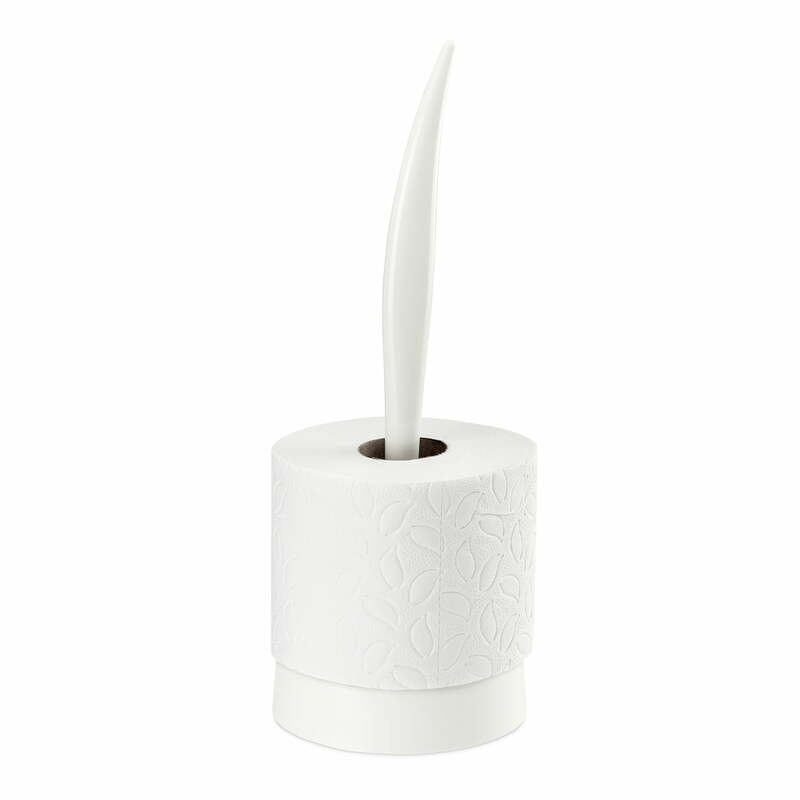 The Sense spare roll holder by Koziol is suitable for up to two commercially available toilet paper rolls.